It's better to eat dairy. It's best to just plant your face in a vat of chocolate milk. I mean, it's best to eat healthy. On Sunday, Midwest Dairy Association--which "represents more than 9,100 dairy farm families to nearly 38 million consumers across 10 Midwestern states . 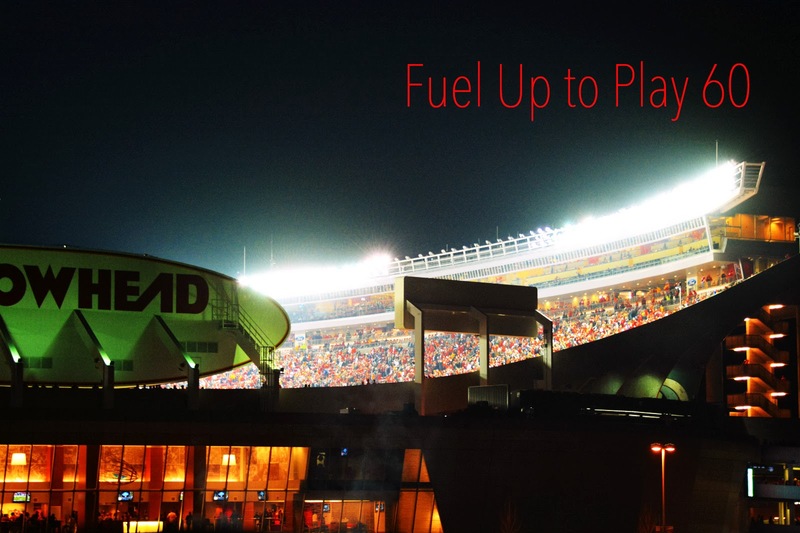 . . [working] on behalf of dairy farmers to increase dairy sales, foster innovation and inspire consumer confidence in dairy products and practices"--hosted a little tailgating party before the Broncos/Chiefs game. 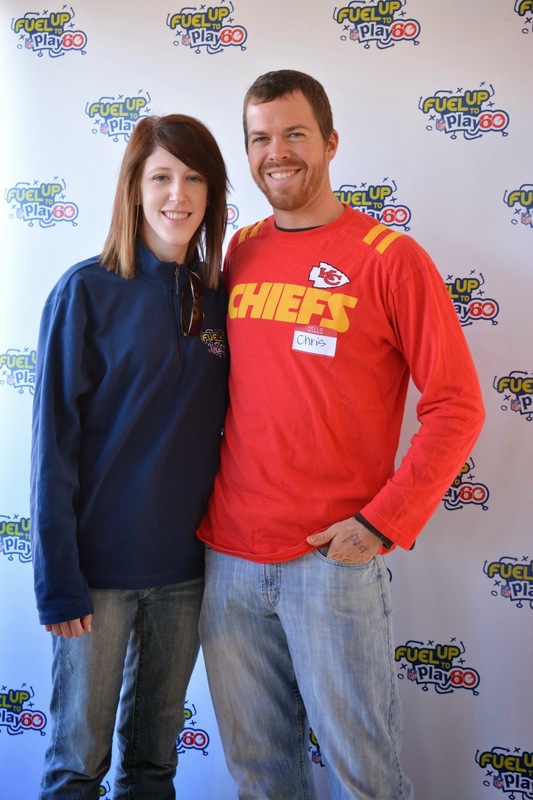 They had food to eat, games to play, and a media wall for picture taking, all to promote "Fuel Up to Play 60," a school wellness program that basically encourages kids to get off their bums, eat semi-decently, and play for at least 60 minutes a day. I want to eat cheese and play 60 minutes every day. Where do I sign up? This gentleman thanked Chris' brother for all the hard work accomplished at Heins Family Farms every day, but we're just as grateful that this gentleman makes sure hundreds of kids drink their milk during the week! One of the neat things about the event was that schools whose children excelled at eating healthy--at eating pork and drinking milk--got to send a few of their kids and teachers to the game, tailgating beforehand with . . . wait for it . . . real live dairy farmers! I just stood around and asked people if they still served chocolate milk in schools. Because if we're being honest with each other, we all know that the chocolate milk days were the best days. Before we fueled up on pork, beef, fruit, veggies, cheese, and . . . wait for it . . . chocolate milk, Chris' family tried to determine how long it would be before Chris and I end up on a pull-up banner. Apparently Chris' big debut in the Lutheran Women's Missionary League Quarterly doesn't count. While indulging in milk and cookies, I learned all sorts of good stuff in addition to the fact that cows moo in accents, like how pasteurization works (and why dairy farmers are such big fans of it for your sake) and how homogenization works. Now, see? If you were there, you could have learned valuable life lessons like this too. We've got to get you out more. While Chris was busy discussing water buffalo and camel dairies (Did you know they have those? Didyoudidyou? ), I kept trying to stand at the media wall with a microphone to ask all the attendees which designer they were wearing. Apparently that's not a thing at NFL games. 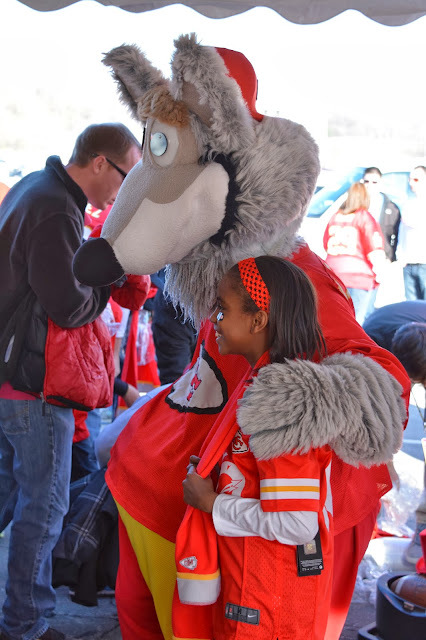 KC Wolf, the Chiefs' mascot, saved the day by showing up, wiggly eyes and all, to thank the dairy farmers and the school kids. And a couple of the Chiefs' cheerleaders (or apparently only the backs of their heads) were there to say thanks too. Hey, chocolate milk is worth cheering for if you ask me. Afterward, when we'd had our fill of healthy food and the kids couldn't take one more picture, we were able to go to the game, where cameras with detachable lenses apparently cannot. Even though the Chiefs didn't win (and it took me 30 minutes to figure out who Peyton Manning was), we loved every minute at the NFL's loudest stadium. We'll just go ahead and assume they were cheering for chocolate milk.